We have analysed above the total demand and the total supply of land for the community as a whole. Let us now consider it from the point of a particular industry or use. For a particular use or industry, the supply of land cannot be regarded as fixed. By offering more rent, the supply can be increased; the supply will decrease if the tent in this particular case goes down. The supply is thus elastic and the supply curve will rise upward from the left to the right as is DO is the demand curve to start with E is the point of intersection: hence OR (= EM) is the rent and OM is the land used. 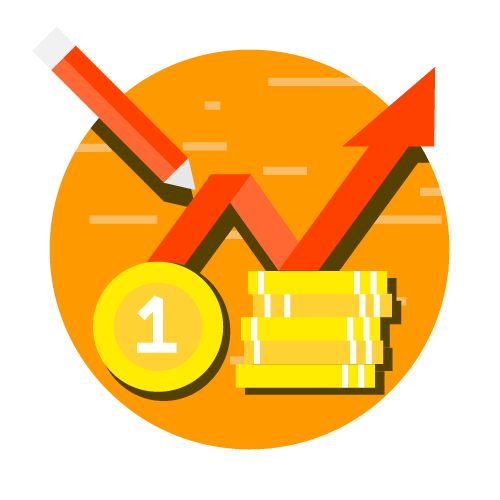 Suppose the demand increases to 0′ 0′. Now the two curves intersect at E’ and the rent will be OR’ (= E’ M’) and the land used OM’. This means that, since for this particular use the rent of land has gone up. MM’ land has been withdrawn from other uses and put to this use. 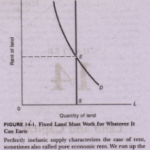 If the demand for land decreases to ON 0″, the rent will come down to OR” (= ENM”) and the quantity of land will come down to OM”. This will mean that MM” land has gone out of this particular use. Since the rent has fallen.